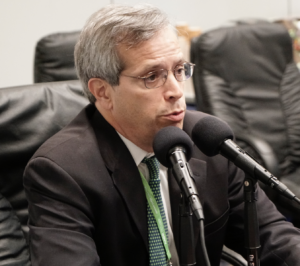 During last year’s American Association for Cancer Research (AACR) annual meeting in Washington, DC, the association’s president Michael A. Caligiuri, MD, discussed his presidential initiative to further cancer health equality. 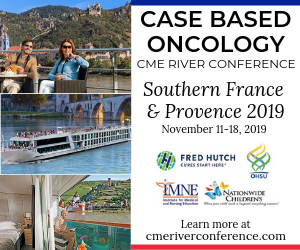 He said this would include: reducing health disparities; recruiting, retaining, and promoting clinical researchers and scientists from underserved populations; and communicating effectively with survivors and patients about strategies to further prevent cancer, as well as opportunities for clinical trials, prevention, and treatment. 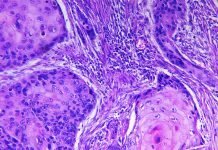 “We want to make sure that people aren’t born into this world with the curse of cancer because of race, ethnicity, or socio-economic status,” he said at that time while he was director of the Ohio State University Comprehensive Cancer Center and CEO of the Arthur James Cancer Hospital and Richard J. Solove Research Institute. Photo 1.0: Michael A. Caligiuri, MD, 2017-2018 President of the American Association for Cancer Research (AACR) and President of the City of Hope National Medical Center The City of Hope National Medical Center, Duarte, California. Fast forward nearly a year, and Caligiuri spoke with Onco’Zine about highlights of this year’s AACR meeting, April 14-18, in Chicago, Ill., the status of his cancer health equality initiative, and his mid-term career change from Ohio State to Duarte, California’s City of Hope National Medical Center, where he was named to the newly created positions of president and physician-in-chief. A communications officer from AACR was also on the call. 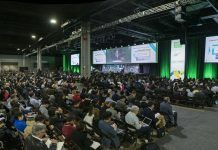 Caligiuri noted that this will be AACR’s largest meeting ever with a projected 22,000 participants, buoyed by an increase in attendants from the pharmaceutical industry. 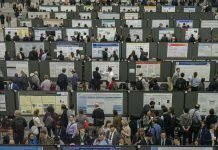 He also seemed especially proud of the number of clinical trial studies to be presented at the meeting, an increase from 101 in 2014 to 176 this year, according to AACR. 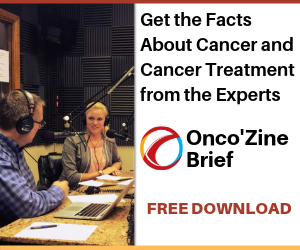 “This tells me that what the world is waking up to now is not so much about rational combinations of chemotherapy as it is to science-driven protocols, and we’re now in an age where it’s all about the science as we think about the clinic,” he said. He said that in addition to the scientific program, there would be numerous sessions on professional advancement for young investigators focusing on the association’s associate members; joint sessions with other professional societies; award lectures; the induction of 12 new fellows into the society’s academy, and a record number of exhibits. Caligiuri said that for the project AACR will be partnering with Pelotonia through Ohio State University’s Comprehensive Cancer Center and James Cancer Hospital and Solove Research Institute, M2Gen, and the Oncology Research Information Exchange Network (ORIEN). He disclosed that he was a co-founder of ORIEN with William S. Dalton, PhD, MD. He said that the cancer death rate for African-Americans is 25% higher than for whites, and that although there are likely a number of reasons, it is necessary to make sure that tumor DNA is sequenced from the tumors of all patients to understand the differences in outcomes. 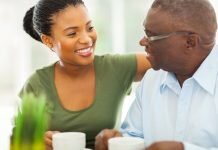 The initiative will develop an infrastructure to accrue consenting African-American cancer patients through ORIEN’s Total Cancer Care Protocol at Atlanta’s Morehouse School of Medicine, a traditionally black medical school, and the data will be added to AACR’s Project GENIE (Genomics Evidence Neoplasia Information Exchange) registry, which has nearly 40,000 de-identified genomic records that have been made public. The genomic data generated by the initiative through ORIEN and GENIE will be made publicly accessible to cancer genome registries that can be used by both academic and industry researchers studying cancer and cancer outcomes of African Americans, and can be helpful in furthering understanding of the causes of cancer health disparities and developing effective strategies to deal with them. I asked Caligiuri why 2020 by 2020 and most other health disparity projects seemed to focus on African Americans and not also include other groups such as Hispanics, Native Americans, and Asians. I also inquired if the number of patients to be accrued and the chosen year of completion might be based more on a catchy marketing phrase than on scientifically significant numbers. 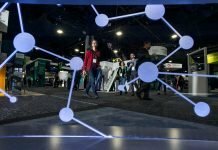 He explained that the AACR committee charged with health disparities is comprised of an all-inclusive group of researchers from various racial and ethnic backgrounds, and that other AACR members may be involved in projects looking at other disadvantaged populations including the rural poor in Appalachia. “If we have conveyed that we seem to be disproportionately interested in African Americans versus other underrepresented populations then that’s on us, and we may need to retool how we are conveying all that we’re doing because we are involved in all sectors,” he said. He added that this was a pilot project and was meant as a model, and if it was successful and became self-sustaining then AACR would be extending it to other communities experiencing health disparities. As for the name, 2020 by 2020, Caligiuri disputed that it was based on a catchy phrase. “A goal-oriented approach is a good thing,” he said, adding that this was a very audacious goal and if the initiative were to accrue 2020 people by 2020 it would be 10-fold more than any other institution had accomplished in about 2.5 years, especially since Morehouse had not been able to recruit a single patient in 2 years for genomic sequencing. Caligiuri’s seemingly sudden career change in late-2017 came as a surprise to many and happened in two stages of resignation, but he said that it was carefully calculated over several years, and that he had spent enough time as a cancer center director and wanted to pursue more cultural, growth, and entrepreneurial activities. He said that before Ohio State University President E. Gordon Gee had left OSU in July 2013, the two had discussed Caligiuri’s “positioning out” from his dual responsibilities. He explained that he was then focused on the cancer center’s renewal of its NCI-designation as a comprehensive cancer center and knew that he wanted to end his tenure by 2018, which would be his tenth anniversary as CEO of James Cancer Hospital. Caligiuri originally joined Ohio State in 1997. He was named director of hematology and oncology in 2000, and director of the comprehensive cancer center in 2003. When he was named as CEO of James Cancer Hospital in 2008, he stepped down as hematology/oncology director, but continued to lead the cancer center as well. Caligiuri said that he had a successor in mind when he initially spoke with Gee and the two flew to Boston to meet with the candidate, who ultimately turned down the offer. Then Gee left the university following a controversy regarding anti-Catholic comments allegedly made in jest about the University of Notre Dame. This was actually Gee’s second stint as OSU president and he had initially hired Caligiuri in 1997 and approved his James CEO position in 2008. With Gee gone, Caligiuri said he wanted the new president to settle in before he discussed his own career change, and after completing construction of a new hospital facility, the cancer center successfully achieved high marks for its NCI renewal in 2015. In November 2017, Caligiuri stepped down as director of the comprehensive cancer center after 14 years, and a few weeks later OSU announced that he was resigning as CEO of James Cancer Hospital as well. Raphael Pollock, MD, PhD, was named as his replacement as cancer center director, and by the end of the month City of Hope announced it had hired Caligiuri. Caliguiri said that the timing was just right and after serving nine presidents and interim presidents during his 20 years at Ohio State, the freestanding City of Hope was a good match for his entrepreneurial future. Caligiuri’s appointment as president and physician-in-chief of City of Hope National Medical Center is a new position. He reports to Robert W. Stone, who is president and CEO of the entire City of Hope enterprise. 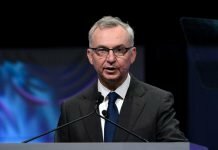 While Caligiuri will deal with all things clinical including expansion plans and partnerships, his counterpart, Steven T. Rosen, MD is provost, chief scientific officer, and director and principal investigator for the comprehensive cancer center. This article is written by Eric T. Rosenthal, Editor-at-large for Onco’Zine and The Onco’Zine Brief. 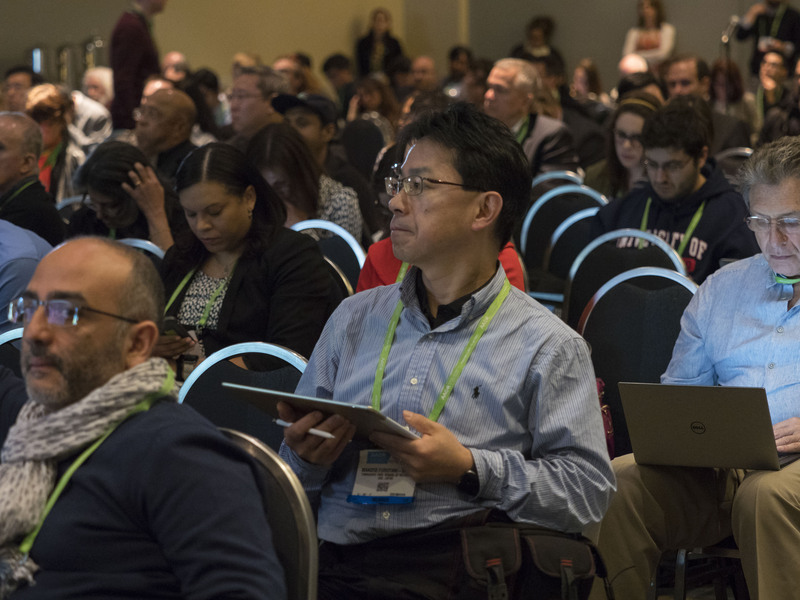 Featured Image: Washington, DC – The AACR 2017 Annual Meeting – Speakers during Pancreatic Cancer Action Network-AACR Research Grants Presentation and Poster Session at the American Association for Cancer Research Annual Meeting. Courtesy: © 2010 – 2018 AACR/Todd Buchanan. Used with permission. Photo 1.0: Michael A. Caligiuri, MD, 2017-2018 President of the American Association for Cancer Research (AACR) and President of the City of Hope National Medical Center The City of Hope National Medical Center, Duarte, California. Courtesy: © 2010 – 2018 Evan Wendt/Sunvalley Communication. Used with permission.